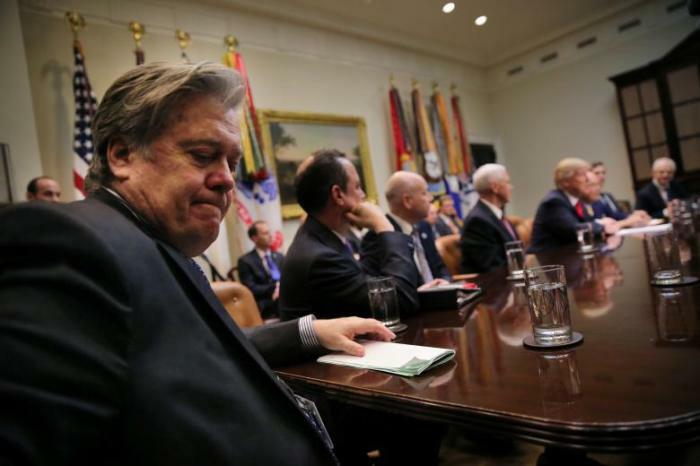 President Donald Trump has fired his chief strategist Steve Bannon, a person familiar with the decision told Reuters on Friday. A source close to Bannon said he was not expected to resign on his own. "Bannon is going to make them fire him," the source said. "He's not going to officially resign. He's still been doing the work. He's been working on projects." The New York Times, however, cited a person close to Bannon as saying he had submitted his resignation on Aug. 7 and that it was to be announced this week, but had been delayed by the fallout from a rally by white nationalists in Virginia over the weekend. Bannon damaged his standing by giving an interview to the liberal American Prospect this week in which he was seen to be undercutting Trump's position on North Korea. Bannon told associates he thought he was talking to an academic and thought he was off the record. He has told friends he could go back to the right-wing Breitbart News outlet if he were to leave the White House.